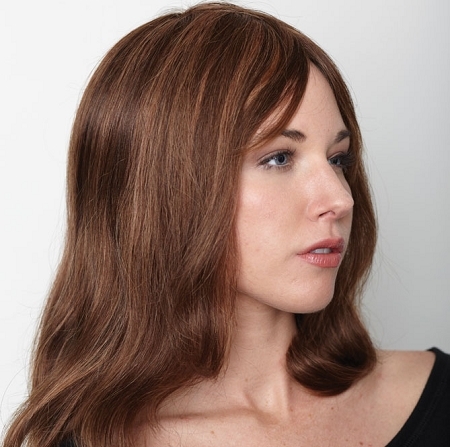 Human Hair Monofilament Remy Wig by Aspen is a long length layered pure 100% pure human hair wig. The realism of a mono cap construction simulates the look of a natural scalp and simulated hair growth. Overall multi-directional styling and hair parting options allow you the freedom to style as you wish. The hair fiber is the finest quality, with the cuticle still attached. Less tangling and natural movement define endless styling options.